Moderated by Henry Jenkins, this April 2015 Cyberpunk panel featuring Bruce Sterling, Rudy Rucker, Roger Trilling and Mark Pauline is great viewing. 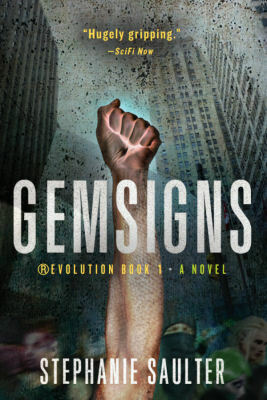 The winners of our giveaway for Gemsigns by Stephanie Saulter has been chosen and notified. Congratulations to: David S. Eric D. Joel S. Karin W. Ron S. You will be receiving your prize soon! Thanks to everyone who entered.